Tranquility Dreams is the safe haven where I have been living/hiding since January 2017. This is the first time I have stayed on the same lot for so long. The sim is beautiful and peaceful and has only ten houses. We don’t get much traffic which is what I appreciate the most, though I don’t mind the occasional chat some random visitors are sometimes indulging me with (they can be quite entertaining at times …). When I first saw the place I was not impressed by the house. In fact, I had to sleep on it and it took 24 hours to decide I wanted it. I love everything on the sim except for my Dust Bunny house. Don’t get me wrong, it’s a beautiful piece of unequalled quality. Dust Bunny has a knack for making quality items on Second Life. I don’t think I have ever been disappointed by anything from Dust Bunny unlike with other creators, though very few. But I’ve come to realise on SL, if it looks good, it is generally not practical, almost as if ‘well, we wouldn’t do that in RL so let’s do it in SL because, let’s face it, do we spend that much time indoors in SL?‘ In that particular Dust Bunny house, I couldn’t use half of the first floor because of the roof that cut through the room. Trying to take pictures inside that room was also a real challenge for me. In the end, I installed a skybox which had become my main home. The Dust Bunny Boathouse is on the sim and I was hoping that whoever lives in there would eventually move out as I didn’t think I would ever find a house to replace mine. It was kind of a shame though, to pay more Lindens than other places for the peacefulness and the beauty of it and then ending up spending most of my time nestled into my bedroom high up in the sky. 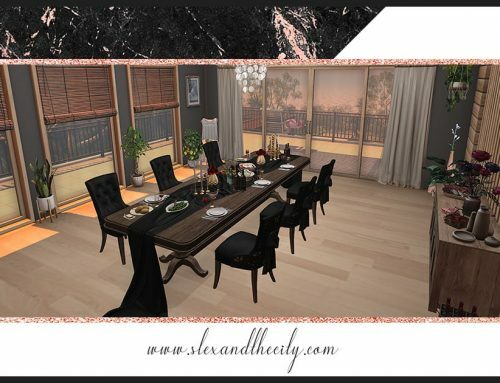 Finding something to replace the house was a tough call: how do you find something better than Dust Bunny that is small, practical, low prims, has wall space, matches the beach theme of the sim and looks amazing? Well, after months of crossing path with different houses, I finally found one. It wasn’t perfect. In fact, it was a challenge. 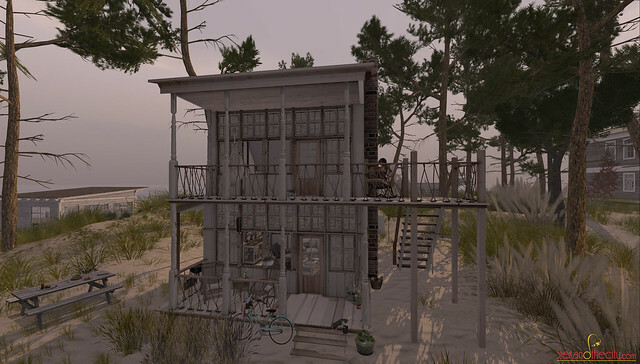 Size and prim wise, the house was just what I needed. The owner of the sim was not too thrilled with my choice. To be honest, I was not too thrilled either. I was unsure about I would go to decorate it, what would fit where if it would fit at all. Have you ever wondered what goes through the mind of a creator when they make/build something? How do they decide on an idea? How do they come up with a concept? Once it is finally done, is it the same as the original idea? 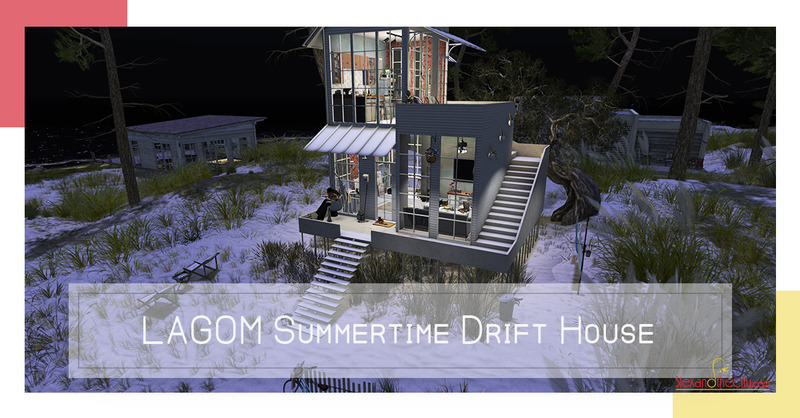 My new house is the LAGOM – Summertime Drift – House  RARE. Once furnished, it came out better than expected. What bothers me most with it are the walls. And because of how it is built, you can’t just change the texture. 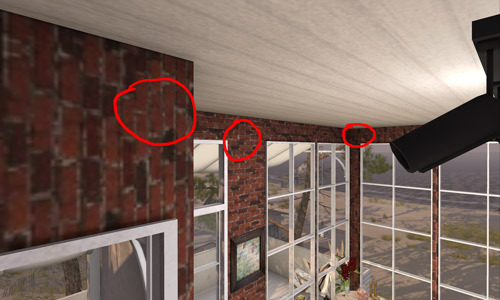 It was easier to build walls over some of them to hide the original texture. Some walls are okay, others look blurry and the brick pattern is not the same all the way through. And I am probably seeing those details as habit of paying attention to the details. It almost feels like as when I’m tired of doing something: I rush and ignore the little details. But since I have no experience in building anything on Second Life, I have no idea what it takes to do it and how easy or not it is to change things. And at the end of the day, the texture on the walls no longer mattered because I managed to make it a “Home”. Once decorated, the LAGOM Summertime Drift house looks amazing, better than I and everyone else who also had doubts, anticipated. I can zoom in and out effortlessly to take pictures. I can easily place my furniture around the house and hang prints on the walls. The more time I spent decorating it, the more I liked it. 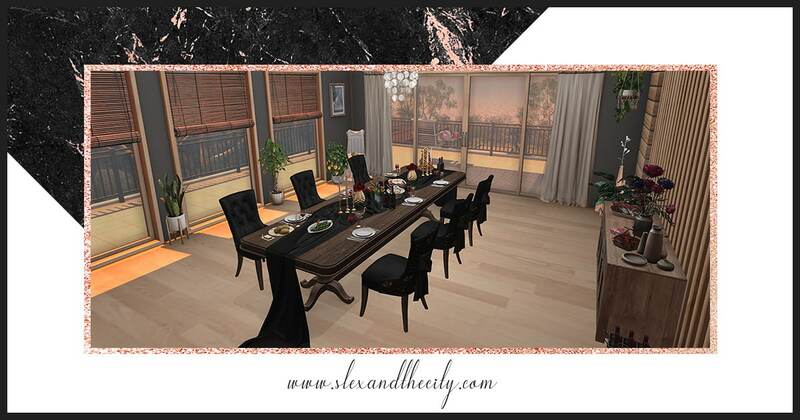 Customer service on SL – as in real life – can be deplorable and I would love to write a wall of fame for the amazing customer service I sometimes come across. LAGOM would be on that list. I am a happy to shop for anything LAGOM just because of that. Next I’ll have to take pictures of each corner of the house to list all the furniture I used. That may take a while but don’t hesitate to ask me. 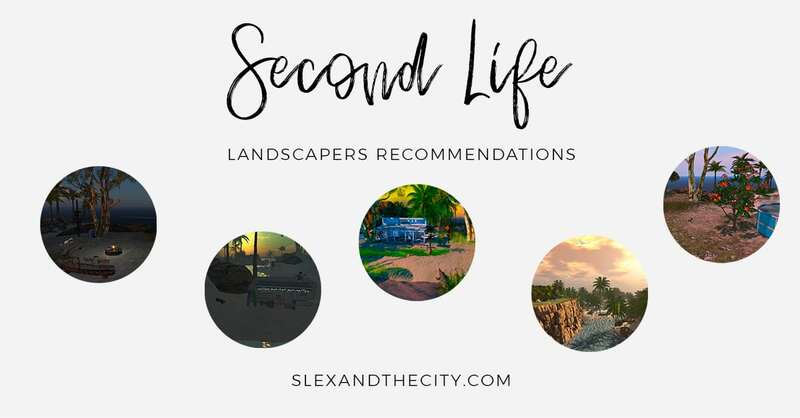 Second Life Landscaping: where to find a good landscaper? The Skyroom: How high can you go? How to organise your SL poses and backdrops? (CTS) Wardrobe, where have you been all my Second Life? The wardrobe is a bit expensive but good idea. 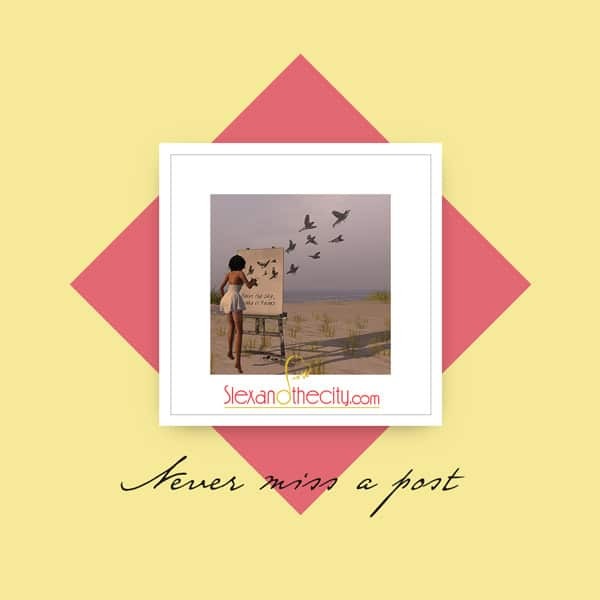 Click here and always get notified of SlexAndTheCity.com latest stories! 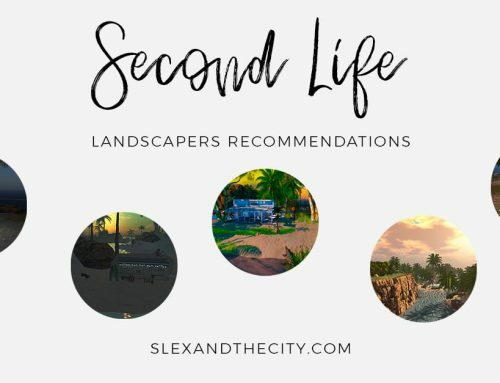 Second Life® and SL® are registered trademarks of Linden Research, Inc. Slexandthecity.com is not affiliated with or sponsored by Linden Research. No infringement is intended.